At its Windows 10 event today, Microsoft unveiled a new display that integrates Windows 10 to help groups work better together. 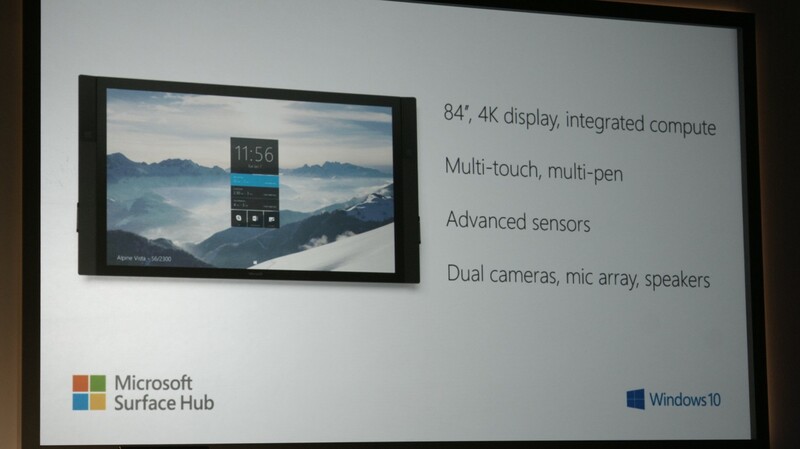 Surface Hub is a 84″ 4K display with integrated computer. It supports multi-touch and multi-pen to help groups work together, like in business situations. The device can be used as a whiteboard by multiple people at the same time and the drawings created can be saved to Onenote or emailed to you later. 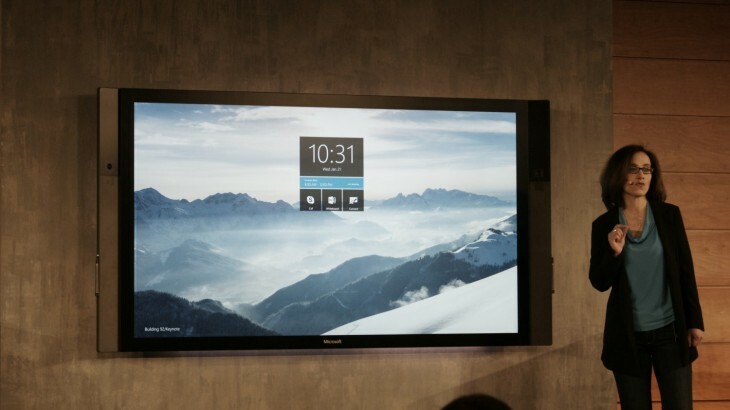 The company showed off one-touch meetings, which will be particularly useful for businesses. 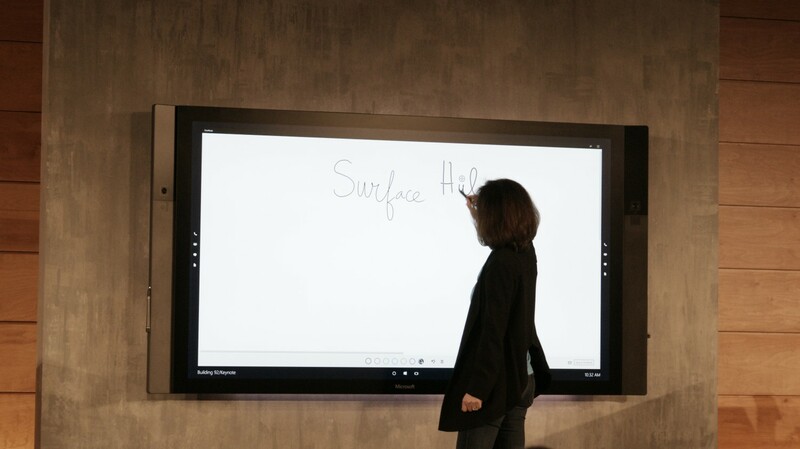 When a meeting is scheduled in a room equipped with the Surface Hub, you can tap the screen to jump into a video call with the participants who are scheduled to be there. Those attending can quickly share slideshows and other content to the group, which is then shown on the display. At the end of your meeting, you can tap a button to “clear it” for the next meeting, which resets it to a default state for the next group to use.